When Pim was 2 years old, he pulled over a marble sculpture that my mum had made as our wedding gift and it broke in half. Thankfully we were able to restore it, but — better safe than sorry — we now keep our delicate sculptures in storage until our children are bigger. And I’ve been missing something cool on our floor ever since! 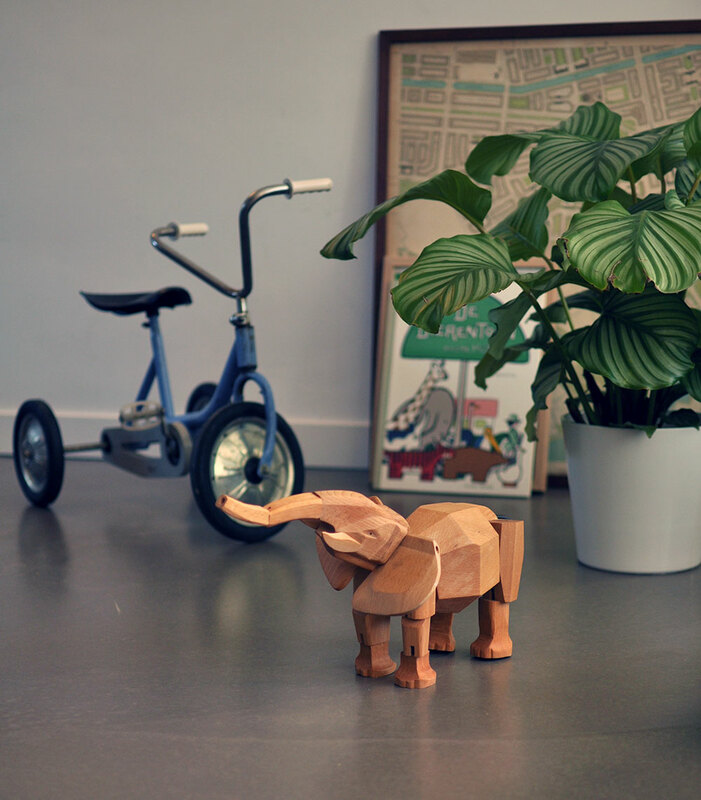 But then, I was browsing the super well curated collection of the awesome Austrian e-store Four Monkeys and my eye fell on Hattie the Elephant. And I couldn’t resist. Here we have a sculpture, a piece of art really, that is absolutely fine to display on the floor, within children’s reach, for children to play with, even. Because it is designed as a toy! 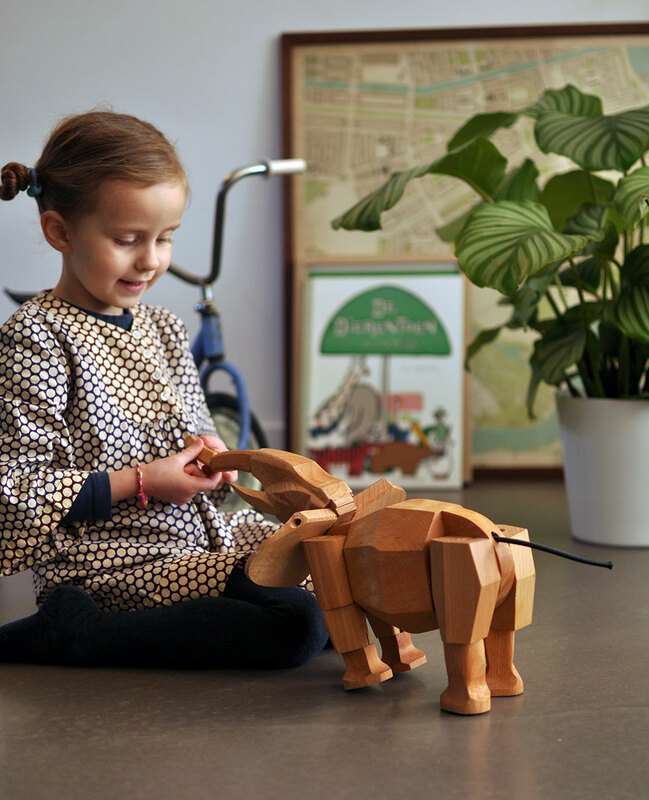 Hattie is named after a famous elephant that lived in New York’s Central Park Zoo in the early part of the 20th century. Hattie was described as the “most intelligent of all elephants”. 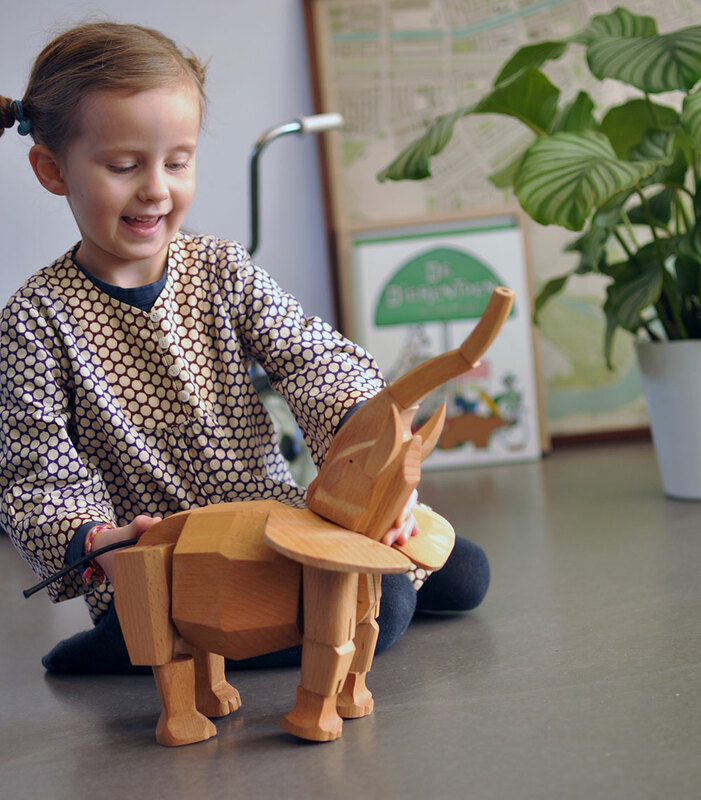 We have one as well in our home and my son is playing a lot with it together with Hanno the Gorilla, both designed by David Weeks. You can get them from our store in Uk http://www.e-side.co.uk. Our favourite animal! And I wonder if Hattie the Elephant in NYC that Alessia refers to was named after Kipling’s Colonel Hathi??! (Haathi being the hindi word for elephant). Yay for Areaware! My favorite of the series is the big bear ：）. I love that it’s a sculpture that can be played with – fantastic! Could you share Esther the make of your tricycle? It has a really cool retro look to it. Thanks!